Vintage Leaf Memories - Michael Langlois: Who’s the one NHL player you just can’t stand? Who’s the one NHL player you just can’t stand? I know “hate” is not a nice word, but for the purposes of our discussion today, let me use it in the way sports fans do: not maliciously, just as a way of expressing good old-fashioned intense dislike for a particular player. Over the past fifty plus years, (though much more so in my younger days…) I’ve built up a lot of “hockey hate” for any number of NHL players. 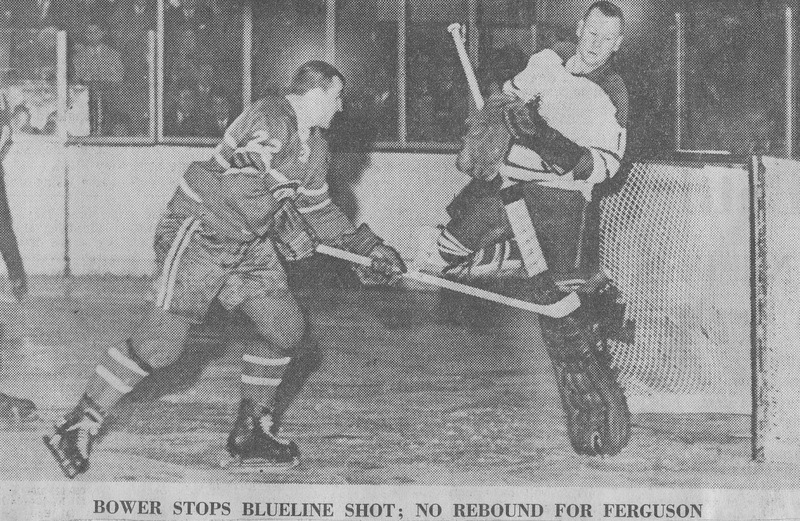 Back in the 1960s, Montreal's John Ferguson was easy to loathe. Rugged, tough and the best fighter in his day, Fergy was a fiercely determined winger who made players like teammate (Montreal captain) Jean Beliveau even better, because Ferguson ensured there was plenty of room for “Big Jean” to operate. The fact that I was a passionate young Leaf fan and Ferguson was a big part of the vaunted (and much-despited, on my part) Habs just made his seemingly constant presence on the ice all the more troublesome and annoying. Now, as solid a player as he was, Fergy was also, in my estimation, a guy who sometimes played dirty. (I once was at the old Olympia in Detroit, in the winter of 1968, and saw him skate half-way across the ice to cross-check Gordie Howe viciously from behind. Howe was always considered the toughest guy in hockey, so Ferguson certainly didn't pick his spots...) He was also a bit too fast and loose with his stick at times. (Johnny Bower could attest to that. If you saw the 1967 Cup finals between Toronto and Montreal, you will remember that Ferguson's stick came up to Bower's face several times- I'm pretty sure Bower had to go off for "repairs" on at least one occasion. Check out the photo at the top of this story from action at the old Montreal Forum in 1964). And the fact that Ferguson played for the team I hated more than any other, before or since, just brought out my venom in the worst way. 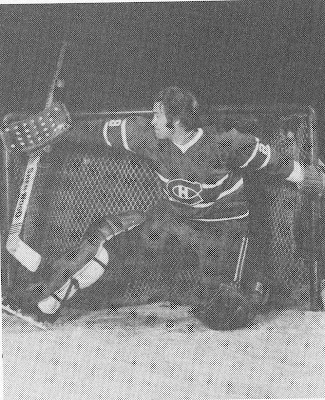 Thankfully, Fergy retired fairly early in his career, back in 1971, after helping Montreal win five Cups in his eight-year career. Now, if you had asked me back then if I would have liked to have Ferguson on the Leafs, I would have jumped at the chance. But he was a proud Montreal Canadien, through and through, and I'm sure he would never have considered playing anywhere else. 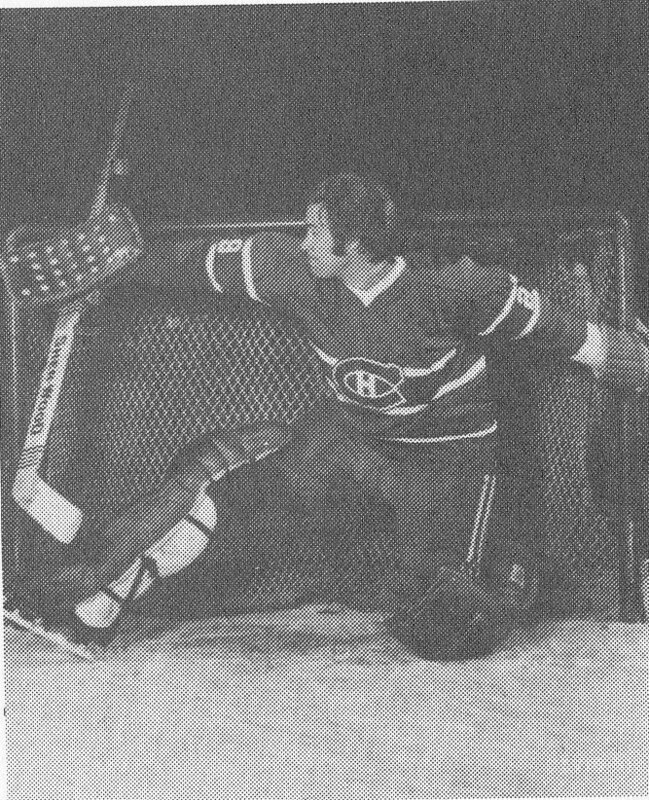 There were any number of other Hab players I couldn’t stand (though I grew to respect many of them), but one in particular that springs to mind was Claude Larose, who I think had, if I’m not mistaken, a couple of different incarnations with Montreal throughout the 1960s and ‘70s. He was just one of those annoying guys who was seemingly always in the middle of something, but was a very useful player. Then were was Doug Risebrought later in the ‘70s, and of course Ken Dryden (right), who I, well….I just couldn’t stand the guy. He was probably too good for my liking. The list of Montreal guys I didn't like at all is too long to list here. Otherwise, there were NHL’ers like Derek Sanderson and Johnny McKenzie in Boston, (and every living, breathing guy who played for the Flyers from 1973 to about 1980) who were on my hate list. Put Bobby Clarke at the top of the list, but boy, could Clarke play. I don't think I've seen a player who worked harder on the ice, shift after shift, game after game, than Clarke. But my real question for you today is, who—for any numbers of reasons—is an NHL player, fair or not, that you just don’t like? Well where can I start. Billy Smith for his fake injury against the oilers. Larry Robinson for his dirty elbows. Claude Lemieux for his assault on the red wings. Dale Hunter cheap shoting Turgeon. Mathew Barnaby for just being dirty. In Today's NHL I would have Chris Neil for picking fights with guys only smaller than him. Marchant because he has chara, lucic and Thornton fighting his battles for him. lucic is a talented player i'd love on the leafs but i hate on any other team... arrogant, obnoxious, dirty, a bully. chris neil is similar, although not as talented offensively. any player that celebrates a goal they score as if it's crosby's gold-medal winner is pretty irritating, but that's just a pet-peeve of mine. I hear you with Lucic, Alex. But as you say, I'd love him with the Leafs! Great topic. Can't stop at only one. I always disliked Brett Hull and Jeremy Roenick. Both very good players who seemed cocky and who, in my opinion, talked way too much. At times I found their willingness to say exactly what was on their minds refreshing and entertaining, but most of the time it just seemed that they liked hearing themselves talk. Yea I don't like a lot of players..